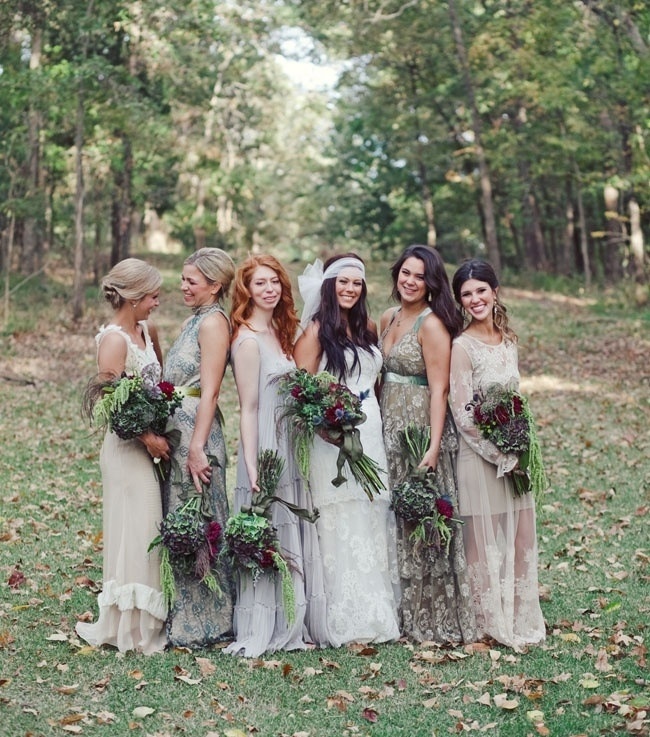 Coordinating bridesmaids dresses is tricky, that's why typically they all wear the same matching gown. But where's the fun in that? Each of your bridesmaids is unique and deserves to wear a dress that will compliment them each individually. 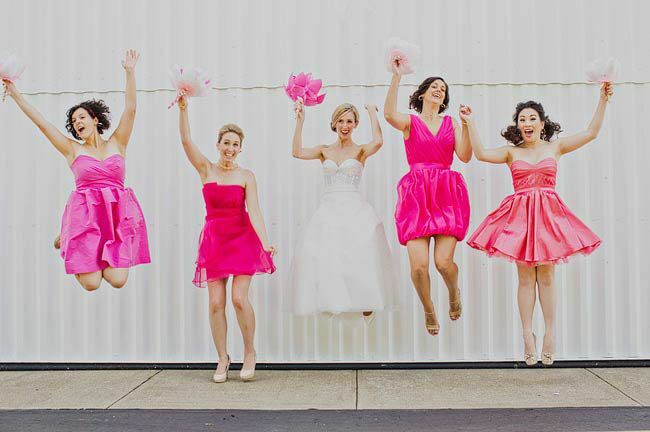 Mismatching bridesmaid dresses is a trendy element that will allow you and your bridesmaids to shine on your big day! Follow these steps to ensure that your mismatching looks clean and coordinated. 1. Decide what aspect you are going to mismatch. Do you want them all to have separate colors? Do you want them all to have the same color but different style? Or maybe a combination of both. 2. Select a color scheme. 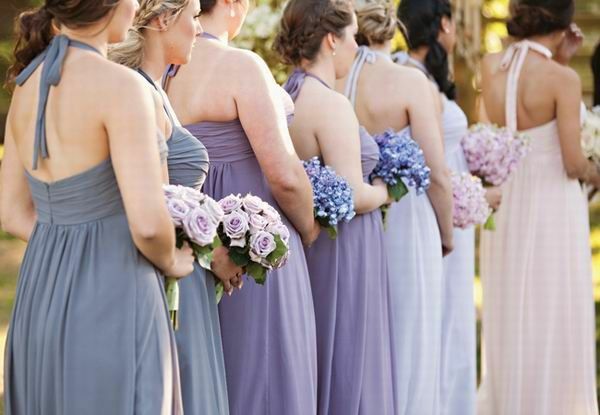 If you are having your bridesmaids wear different colors maybe try an ombre effect. Try to pick shades that are in the same family and can blend well next to each other. 3. 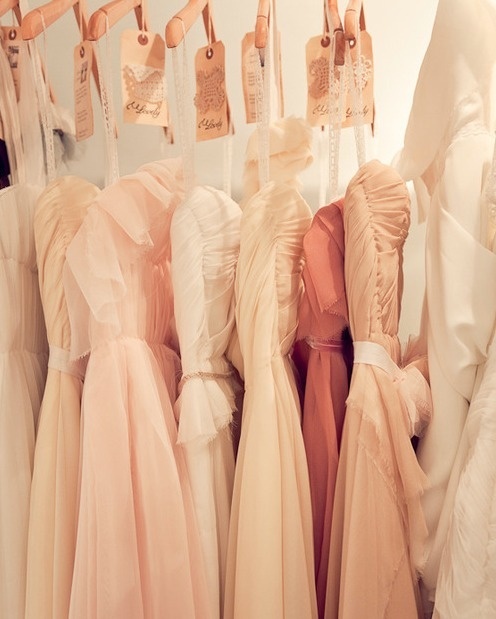 Let your bridesmaids pick out their own dress. They know their bodies best and they know what they look good in. Have a preselected color and material picked out and let them decide what dress would look best on them. 4. Have a universal statement piece. This will tie everything in together. You can have them wear matching shoes or a matching necklace. This will help them all look like they fit in with the theme of your wedding.